I believe I have a daguerrotype of the same man. I have it because my family was friends with Alice Constance Austin and it was with some of her belongings that were left to my grandmother. I am guessing that this could be her father, Joseph B. Austin born in 1928. 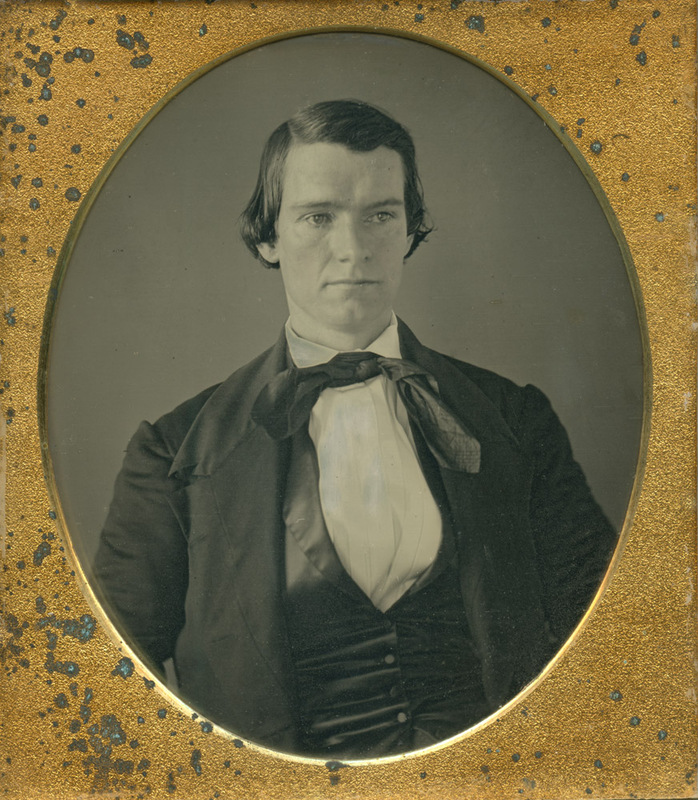 I also have photos of her brother, Cecil K Austin but it is not daguerrotype. In one corner of the frame on the daguerreotype it says PHILAD. Joseph B Austin was born in Philadelphia. I have more information about him that I could share but I’m not 100% certain this is his image. I’d like to think so.